Dramaturging personal narratives explores and examines issues surrounding cultural and personal identity by looking closely at creative expressions of home and self. As a dramaturg with over thirty years’ experience in both academic and theatrical fields, Judith Rudakoff discusses a number of her own dramaturgical tools and methods which she uses to elicit stories and experiences from those she creates performances with. A variety of projects and plays created using Rudakoff’s methods make up the bulk of this text, with stories originating from South Africa, Cuba, India and Canada. It is clear from the outset that inclusion and collaboration are fundamental building blocks for the author’s work and practice. It is also encouraging and refreshing that Rudakoff is keen for the reader to utilise her dramaturgical tools to create their own versions of the projects. She makes her aims clear in the opening pages of the text: ‘In short, the goal of this book is to introduce the principles of my methods, to demonstrate the process in action, and to show creative outcome in order to stimulate readers to generate their own versions of the projects’ (p.6). Split into four main sections, the majority of the book focuses on The Ashley Plays, a set of short, original plays used as a vehicle to perform personal narratives. In the first section Rudakoff sets out descriptions of how the Ashley character can be formed, including research tools to assist with the choice of setting and context for the play, a suggested duration, and assistance with issues relating to staging and audience management for live performances. There are also instructions for the creation and sharing of ‘virtual cycles’, which are devised via electronic communication and can be viewed online1. Her directions are clear and well-devised. Writing in diary format, the author then describes experiences of creating numerous cycles of The Ashley Plays; three in Cape Town between 2002 and 2006, two in Canada in 2006 and 2008 and one in India in 2008. Through Rudakoff’s descriptions the reader can follow the processes undertaken by the different dramaturgs and participants as they encountered difficulties, discoveries, and revelations. Each cycle is well documented with accompanying images and examples of participants’ texts and materials, unedited to retain authenticity. As each Ashley Cycle is unique and individual, Rudakoff adapts and moulds her approach as required for each new setting, depending on potential barriers (for example language or physical ability), external circumstances, politics, group dynamics and the participants’ level of experience. Her approach is inclusive and encompassing. Rudakoff continues with discussion of the virtual Ashley Cycles created in 2007 and 2008, highlighting a different way of working whereby participants from different countries could collaborate on an Ashley Cycle, bringing together different cultural backgrounds, ideas and understandings of their own concepts of ‘home’. The key research tool for these virtual cycles was an online forum where participants could communicate and share ideas. Transcripts from online conversations and posts to the forum are included within this section, giving a deeper insight into each individual process alongside a larger community dynamic. The next section, Photobiography, feels very short in relation to the others and I feel it could have been a bit more balanced in the context of the whole book. The ideas within the section are interesting as Rudakoff describes an exercise that involved participants taking photographs (on the concept of home) based on a series of thirteen prompts/questions. This exercise alone seems appealing as a way to generate material, especially in circumstances where there may be barriers to self-expression or even a lack of confidence in terms of theatricality, but I feel it could have been expanded to delve a bit deeper and explore the visual art element of expression and creativity which was being introduced here. All in all, Dramaturging personal narratives has many strengths, including the documentation of accessible practices. The author also deals very well with the issue of inclusion despite social and cultural barriers, and the dissemination of personal work on a local, national and international level. Rudakoff’s willingness to share her dramaturgical methods in order that others can participate and make their own versions is inspiring and shows a commitment to her practice, focusing on sharing, exploring and unpicking personal stories and narratives from every walk of life. My one small criticism of this book lies in the fact that Rudakoff does not cite any other work, methodologies or research in this particular field—I feel that it would have really added to the strength of the text had there been some theoretical grounding. It seems that the author may have felt this would detract from the work as she provides this disclaimer: ‘I do not engage in theoretical analysis as I am focussed on exploring the practical application of process. I do not cite the work of other dramaturgs or scholars to validate or contextualize my own’ (p.6). However, other works could have been mentioned purely as a means of offering the reader a fuller understanding of this research area without the need to validate her own work in doing so. 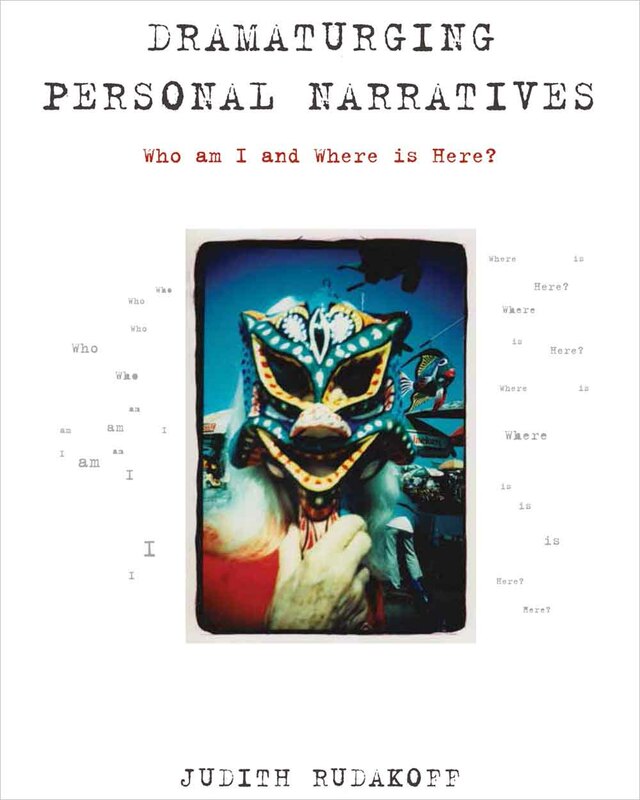 Theatre and performance practitioners interested in autobiographical/personal works would be the ideal audience for this particular text but I would also recommend it to any individuals looking for ways to start exploring this rich area of creativity. There is no requirement for a theatrical background in order to engage with her ideas and the processes are not limited to the concept of home. These methods could easily be adapted to explore many other aspects of self and identity across a variety of media, including film, music and visual art. This is an interesting addition to the field of autobiographical performance. Shona Mackay is a Glasgow-based composer and mixed-media artist currently undertaking a PhD at the Royal Conservatoire of Scotland. Her practice-based research explores her own use of autobiographical material in composition, including themes of gender, identity and communication. She is also interested in finding ways to enhance a sense of connection between audience, performers and composer.